LONDON, July 12 (Reuters) - The British government has turned down a request for a public inquiry into the murder of a former Russian spy in London which could have revealed whether Moscow was behind the killing, a coroner announced on Friday. Coroner Robert Owen had asked ministers to hold an inquiry, declaring his own investigation flawed after bowing to ministers' requests for some material to be kept secret which could have shed light on Russia's suspected involvement. 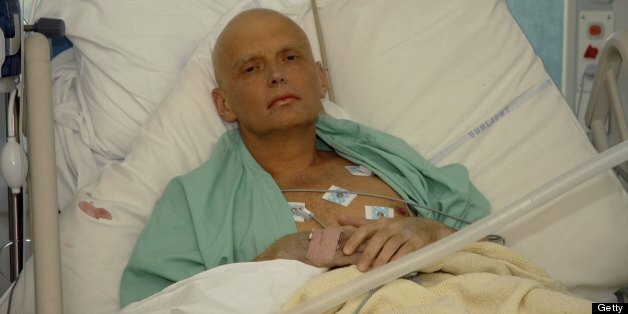 Alexander Litvinenko, 43, died in 2006 after drinking tea poisoned with a rare radioactive isotope, polonium-210, in a plush London hotel. From his deathbed he accused Russian President Vladimir Putin of ordering his murder, a charge Russia has repeatedly denied. Anglo-Russian relations deteriorated to a post-Cold War low after British police and prosecutors said there was enough evidence to charge two former KGB agents, Andrei Lugovoy, who denies any involvement, and Dmitry Kovtun, with murder. Prime Minister David Cameron has made a concerted attempt to mend diplomatic and business ties since coming to power, and Litvinenko's family have accused Britain of wanting to cover up embarrassing information to protect lucrative trade deals. "It is a political decision of the British government," Litvinenko's widow Marina told reporters after the news was broken at a pre-inquest hearing at London's High Court. Her lawyers are now seeking a judicial review. Under British law, inquests conducted by coroners are held when a person dies unexpectedly to determine the cause of death. The former KGB agent had been granted British citizenship and become a vocal critic of Putin. Previous pre-inquest hearings have heard he had worked for Britain's MI6 intelligence service, and that the government held evidence which established a "prima facie case" Russia was behind his murder. Owen, a senior judge acting as coroner, agreed in May to keep secret material which, if aired at an inquest, could undermine trust in the British government or "cause real harm to the UK's international relations". He concluded the only way to learn the truth was through a public inquiry which could examine such information in private if needed. But looking visibly shocked and angry, Owen said he had been given just 45 minutes notice prior to Friday's hearing that the government had rejected his inquiry request. "For the avoidance of doubt, I should say that I regard investigation of the 'preventability' and 'Russian State responsibility' issues as being of central importance in this case," he told the court. "It is a highly exceptional situation when the victim of what appears to have been a murder is interviewed by police before he dies and makes a public statement in which he names those whom he suspects of being responsible for his death." He said there was now no chance his inquest could start on Oct. 2 as planned due to numerous legal hurdles, not least an application from Litvinenko's lawyers for a judicial review. Neil Garnham, the lawyer for the Home Office (interior ministry), said the decision had been made after "careful consideration" and the reasons would be disclosed next week. He said the possibility of an inquiry would be "kept under close and careful review" as the inquest progressed. But Ben Emmerson, lawyer for Litvinenko's widow Marina, described the government's treatment of his client and her family as "shabby" and showing "utter contempt" and said he was confident senior high court judges would overturn the decision. Marina Litvinenko said she was shocked and disappointed but would fight on. "I still have a very long way to get justice," she told reporters. "I believe again ... we will get justice."